I went to a bridal shower last week that had a Hershey's chocolate theme. 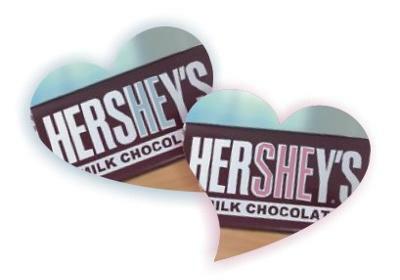 The door had a sign that said "HERshey & HersHEy" with pictures of giant Hershey kisses on it made out of aluminum foil. The party had a chocolate fountain, multiple chocolate desserts, and of course, Hershey kisses! The bride even wore a brown shirt with a Hershey bar on the front! It was an adorable and delicious party!